For Summer, McDonald’s are bringing out a brand new dessert – the Mega Waffle Cone for just $3! 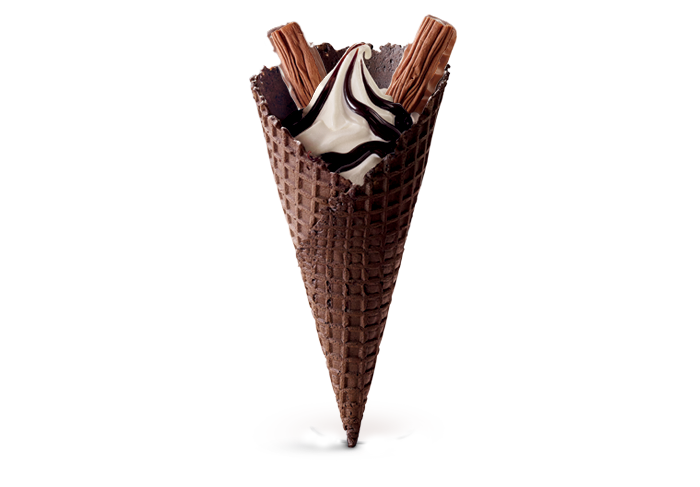 The new Mega Waffle Cone features McDonald’s classic soft-serve with a crunchy waffle cone, topped with a delicious helping of hot chocolate fudge sauce and two chocolate Cadbury Flake. This is one of three new desserts for Summer – including the $2 Choc Top, $3 Mega Waffle Cone and the Gum Drop McFlurry! It’s available for a limited time only. If you’ve tried McDonald’s new waffle cone, let us know what you think in the comments. To take advantage of this deal and to locate your closest McDonald’s store in New Zealand, click here. Let us know in the comments if you’ve tried out this deal!